This game is a first person shooter game that allows the gamer to turn everything into a weapon. In the game, players may be able to modify their body with plasmids, upgrade weapons and make new variants of different ammunition. Players can also hack into systems and control or even reprogram enemy robots to become allies or render enemy weapons useless. The game play makes use of a fresh idea that is unlike any other found in current genres. The story outline itself is interesting and captivating enough to lure players to explore and discover the game levels all the more. Crysis is a game set on Earth in the year 2019. It is a "humans vs. aliens" game that has players fight through different earth landscapes as well as enemies along the way in order to get to the heart of the alien ship for the ultimate battle. This game contains an interesting storyline that has the player working to repel an alien invasion and save humankind. Shadowrun is a multi-player FPS (First Person Shooter) game where a team is propelled into a new dimension and goes into combat using a revolutionary blend of modern weaponry coupled with some ancient magic. 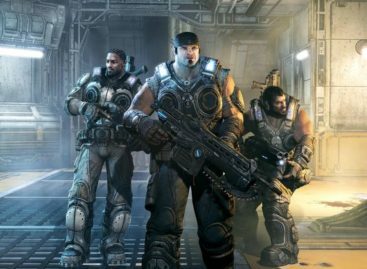 What makes this title unique is that it allows for a cross-platform multiplayer game allowing Xbox 360 and Window gamers to play together as teammates or as foes. With a variety of interesting weapons and magic to use against foes, Shadowrun allows a different twist to a FPS game that would lead to many exciting bouts against fellow gamers all over the world, thanks to its Xbox 360 to Windows Vista Live online compatibility. This game title has been a winner of several Game of the Year awards. It is a 3D real time strategy game that is set in World War II. It also comes with a single player game that starts with the invasion of Normandy to the eventual conquest of Germany. The multi-player mode allows the player to play against other gamers. This first person shooter (FPS), role playing game (RPG) is set in a post apocalyptic London that is under siege from hordes of demons. Players are made to go through different action packed battles in massive and detailed environments and gain experience and level up through each one.